Black gemstone necklace from the "Noir" collection by Paula Rosellini. 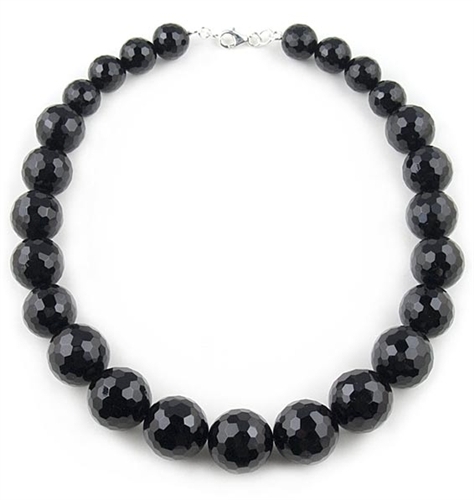 This striking necklace features graduated black faceted onyx semi-precious stones, 14mm, 18mm and 20mm. Necklace measures 47.50cm (18.2") in total length and fastens with a sterling silver lobster clasp.